The Teeling family are one of the great names in Irish distilling, having been in the whisky business since 1782. Yet only recently, in 2015, did the distillery return to its spiritual home in the famous Liberties area of Dublin. 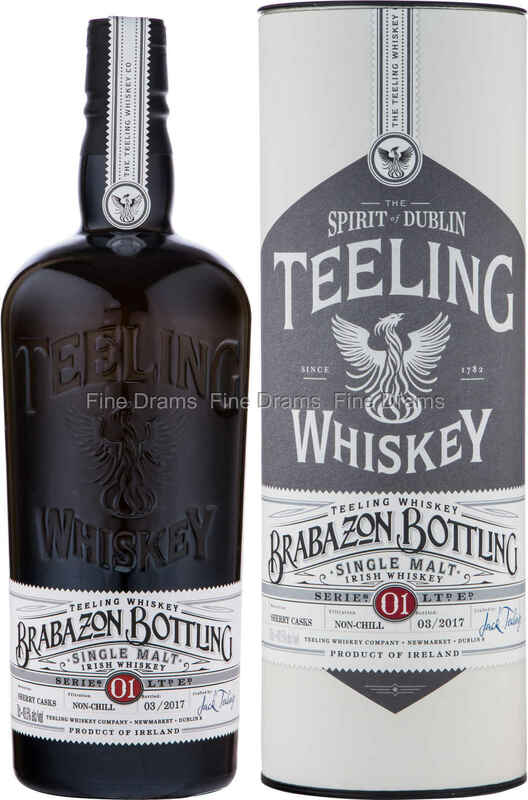 Alongside Teeling, the Brabazons were one of the leading families in the area, establishing the Newmarket trading square, close to where the original Teeling distillery was. This whiskey marks a coming together of the two families, with the whiskey being matured in 6 different sherry casks, to demonstrate the effect that fortified wine casks have on the spirit. On the nose this whiskey is rich, earthy and sweet, with dried fruit flavours of apricot, prunes, dried cherries and some tinned peaches. Roasted nut aromas emerge, with a little sweet dried citrus. The palate is rich and chewy, with wonderful flavours of sherried fruit and sweet woodspice. Further red berries, marshmallows and set honey emerge. The finish is long and lingering with dense woodspice, toasted nuts, drying red wine and some bright oak. This fantastic dram is bottled at 49.5% ABV, and without chill filtration. Only 12,500 bottles were released, meaning that drinkers should move fast if they want to try this wonderful dram. Teeling have also designed a new bottle, with detailed embossment that matches the beauty of the spirit within.